When oil spills in the bay, it’s time for a pup-tacular scrub and save! 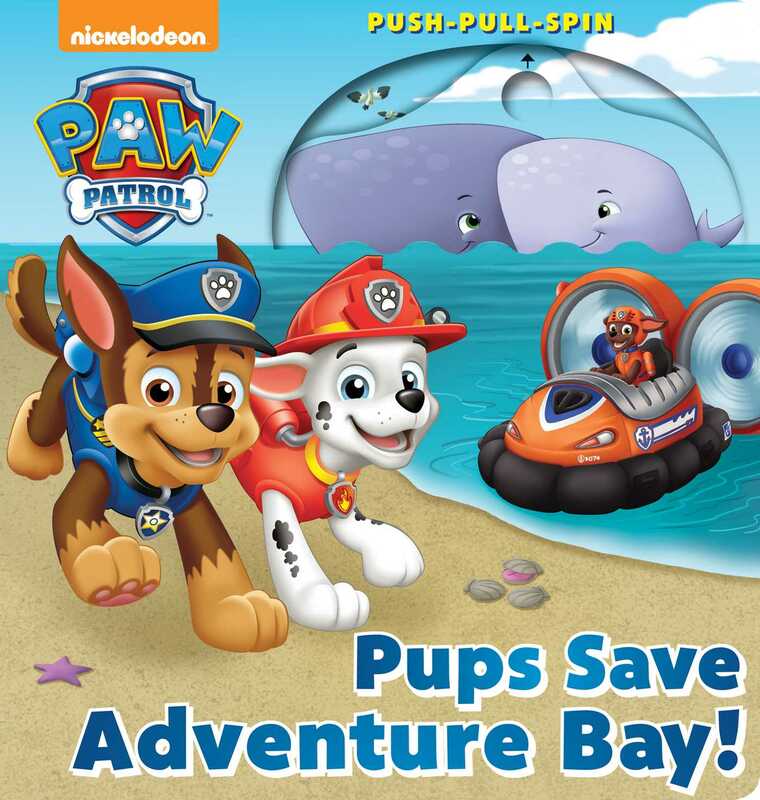 Join the PAW Patrol pups in an exciting water rescue as they work together to save a baby whale from an oil spill in the bay. Follow along by sliding the interactive tabs and spinning the wheel to add to the action. This board book adventure is pure, clean fun! Nate Lovett has been doing illustration work professionally for ten years, and has gotten to work on many projects from comics, coloring books, character designs, and storyboards. He has worked for Random House, Nickelodeon, Viz, AEG, Fun to 11, Action Lab, Devil's Due, Image, Kunoichi Inc, Manifest Digital, and Hasbro, on projects such as EPIC PVP, Actionverse, Bravest Warriors, Redakai, Monsuno, Hack/Slash, The Perhapanauts, Kyrra: Alien Jungle Girl, Xombie, Popgun, Chuck and Friends, GIJoe, and Mr. Potato Head. Currently he is working on books for the hit Nick Jr tv shows Paw Patrol and Rusty Rivets, as well as developing his own all ages projects. Book Cover Image (jpg): PAW Patrol: Pups Save Adventure Bay!